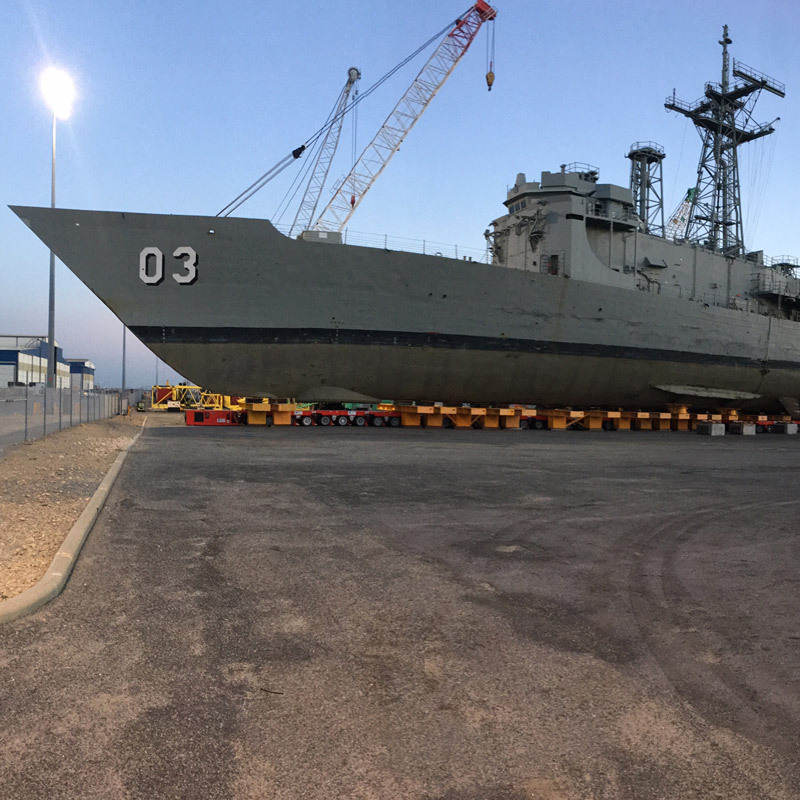 The Department of Defence awarded Birdon the contract to disassemble and recycle Ex-HMAS Sydney. The work includes removal of dangerous goods and waste materials, removal of valuable materials for recycling and final dismantling and secure destruction. The project required careful planning with consideration for ITAR regulations as well as relevant state, federal and international regulations. The project was undertaken in Henderson, Western Australia and allowed for the employment of 20 local employees and additional subcontractors for different aspects of the job. Finalisation of all documentation and reporting. Birdon has a goal in all disposal work, not just to reach, but to exceed the expectations of clients and to guarantee complete destruction of items. This is achieved through the implementation of Birdon’s unique end-of-life recycling processes. Throughout the disposal of Ex-HMAS Sydney Birdon co-operated with the Royal Australian Navy (RAN) to safely remove items of historic significance from the ship. Birdon understands the impact of disposing of an Ex-HMAS vessel. Having worked with a range of people who have served aboard vessels with the RAN, Birdon is committed to recognising those who served. Birdon designed and commissioned 300 commemorative plaques made from gunmetal removed from the vessel. These plaques were then made available to ex-service men and women and supplied with a Certificate of Authenticity. It is a small gesture, but one that has meant a great deal to the recipients. This project was successfully completed, on budget and within the specified time frame.